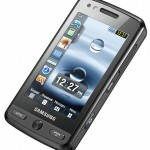 Samsung M8800 is also known as Samsung Pixon and previously referred to as Samsung Bresson. This is a high funda mobile that was released from Samsung in September 2008 for the use of the genY.It uses the TouchWiz interface UI which is a limited operating system. 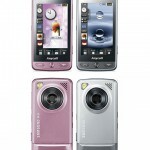 It is one of the world”s first 8 megapixels camera phone. The high end camera allows the consumer to take photos with no fuss. It is embedded with features such as Face Detection which pinpoints the faces in your picture for optimal portraits and a Smile Shot which would automatically detect when someone is smiling, ensuring you to capture the best moments. It has various other camera functions such as ASR, that is, Advanced Shake Reduction which eliminates shaky hand syndrome and a WDR, that is, Wide Dynamic Range which adjusts the brightness automatically. 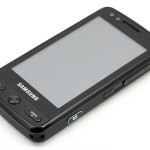 It has a 3.2 inch wide touch screen which can be used to share images. It also features a photo browser which is used to sort the images by face, time, color, file name and these images can also be browsed by tilting and flipping. All these advanced features are packed into a 13.8mm slim casing which can access the various functions of a camera and a mobile in an instant. The Samsung Pixon also allows the casino online consumer to put his own favorite websites which are used frequently into the phone by downloading various widgets. and he can access the Internet with just one easy step. The AMOLED Display of the Samsung Pixon 12 camera phone is divided left and right into various programs. It allows you to quickly switch between picture and video mode, and provides quick access to the scene programs. Everybody will be able to shoot with optimal settings because of its 13 pre-programmed scenes. It also provides an integrated convenient auto image editing software and which gives remarkable object-tracking. By briefly touching an object on the AMOLED screen, the object is then continuously tracked and the camera phone will also continuously focus on it. one features that are not so impressive are -The black chassis is encased in a chrome band, housing all the phone buttons yet keeping most fingerprints away from the phone. The right-hand side of the phone holds the camera buttons, with the camera”s shutter key and dedicated camera activation button next to each other, and the volume key morphed into a zoom control. The dedicated camera button replaces the media key from the Pixon M8800, and allows instant access to the camera. The shutter switch for operating the camera is good quality though, allowing you to half press to auto-focus. Samsung has followed Apple”s lead with TouchWiz 2.0 and it allows you to scrutinize almost the whole thing on the menu, with three displays taken up with icons. Overall, apart from al those non impressive features, its a fairly good phone which can be used for many applications by the consumer.